IBPS Online form online registration process is start from 26th July 2016 during online registration .you have to fill the preference order of 20 nationalized banks. And to decide which bank to fill on the first order is an important factor .we will help you to choose the right bank preference order of the bank. 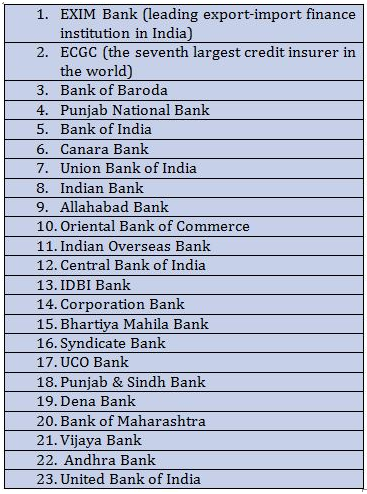 The location and area of the headquarters of the bank and their branches is the vital criteria and it must be taken into consideration when filling up the preference. A Good bank ranking has better chance of carrer growth and exposure for its employees. You can also choose a bank if you dream to be a part of particular bank.most of the bank offer similar kind of salary structure and also follow a similar kind of promotion policy. The 2016 IBPS PO Exams be conducted in a three-stage process – preliminary and main exam conducted only through online mode, followed by an interview. In the qualifier examination, candidates will have to answer questions based on English language, quantitative aptitude and reasoning ability. The exam comprising a total of 100 questions should be answered within an hour. Candidates have to qualify in each of the three tests by securing cut-off marks as decided by IBPS. For the main exam, the candidates will be quizzed on the basis of reasoning, English language, quantitative aptitude, general awareness with special emphasis on banking, and computer knowledge. The exam will include a total of 200 questions to be answered with in 2 hour and 20 minutes time period. Each section must be completed within the specified time limit. IBPS will determine the cutoff scores (section-wise and total) to be called for common interviews.